The Florida Thoroughbred Breeders' and Owners' Association is a not-for-profit association with the mission of promoting the Florida thoroughbred. The FTBOA represents more than 1,400 thoroughbred breeders and owners internationally who breed, raise, sell, train and race thoroughbreds born in the state of Florida. Florida is one of the top thoroughbred breeding regions in the world. Ocala in Marion County is the heart of thoroughbred breeding, frequently referred to as the “Horse Capital of the World” because it has more horses and ponies that any other in the United States. It is the home to the FTBOA, the Florida Thoroughbred Museum and Gallery, the Ocala Breeders’ Sales, top breeding operations, elite veterinarians, research facilities and an abundance of supporting suppliers. Florida ranks second in annual foal production in North America and also annually ranks equally as high with thoroughbred runners, winners and stakes winners. In fact, Florida has produced more Kentucky Derby winners than any state outside Kentucky. Florida is host to championship caliber racing at Gulfstream Park, along with Gulfstream Park West and Tampa Bay Downs. The FTBOA also owns Florida Equine Communications (FEC), publisher of the award-winning monthly magazine The Florida Horse. FEC also produces Wire to Wire, a daily Central Florida thoroughbred digest; Wire to Wire.net, the local thoroughbred auction pub; Horse Capital Digest, an official horse show publication and Thoroughbred Week, a weekly national television program on HRTV and TVG. Florida Equine Communications also handles the media relations, social media and internet marketing for the Association. The Florida Horse includes English and Spanish-language content about Florida-bred stakes winners, Florida progeny, breeding and ownership information, farm management topics, feature profiles and important industry trends and events. 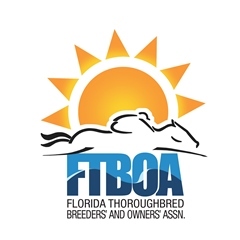 You can follow the FTBOA at www.ftboa.com, on Facebook and Twitter under thefloridahorse and on YouTube.